HEALING FOSSILS, HOW DOES IT WORK? Most fossils are created when the biological material of a plant, insect or animal is replace by opal, chalcedony or other minerals over millenia. The mineral takes on the form of the biological matter within the surrounding rock formations or within sedimentary layers. Amber, Jet, Petrified Wood, Sand dollars, and Ammonites are some examples of fossils. You can use fossils to ease atrophied muscles; strengthen bones and help with disorders of the hands and feet. Fossils will bring you harmony, dignity and splendour. These stones offer you a sense of beauty, seductive charm and charisma. Fossils will awaken interest in mysteries and releases mental obsessions. They have been known to normalise cell metabolism, energy output, heartbeat and fortifies the heart. There are many type of fossils but in this page I will concentrate on those fossils that have healing qualities due to their replacement minerals and their process of creation. 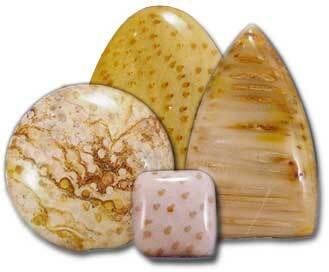 Ammonite is excellent for amulets and can dispel negative vibrations and negative energy. It lends clarity to the thinking and emotions of the owner, and it helps to assist in weeding through extraneous details to identify what is truly important. Ammonite is associated with the base chakra, it is ideal for centring, grounding and meditation. This stone can assist in relaxation in stressful chaotic situations, such as during anxiety attacks or even during childbirth. 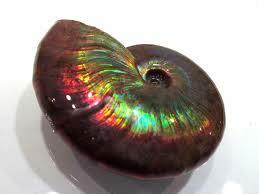 Ammonite can also summon prosperity and abundance. This fossil brings you harmony, dignity and splendour. It gives you a sense of beauty, charm and charisma. Ammonite releases mental obsessions. It normalises cell metabolism, energy output, heartbeat and fortifies the heart. 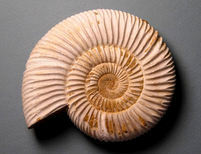 Ammonite comes from the shell of an extinct mollusk. Ammonite is derived from Ammon, an Egyptian god who took the form of a ram. The word Dinosaur is derived from the Greek “dino” meaning “great and fearful”, this stone carries powers that are characteristic of its name. It is formed from the petrified remains of dinosaur bones that have been naturally permeated with minerals over thousands of years. The colour of each stone is related to whichever minerals became embedded in the remnants of the bone. Calcite, jasper, agate or other mineral deposits contribute to the unique colouring of these stones. Dinosaur Bone is used for regulating body temperature, vigor, hearing, broken bones, and paralysis. This stone is used for calming anxiety, tension, worries and excess emotions. 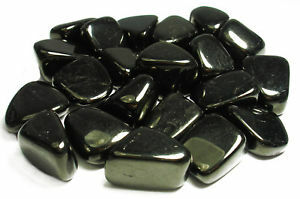 It is an excellent stone for accessing your past lives as it ties you with your deep past experiences. It helps in enhancing the memory and assists you to communicate more effectively and to understand the conversation. ​These fossils promote understanding of our ancient history and roots. It aids learning who we are and where we came from. Dinosaur bone uncovers our origins on other planets, ancient civilisations and your place in them. These fossils access history beyond Earth and beyond written record. This crystal ties you to the past and will aid you in past life meditation by acting as a calming stone. Jet is the coalification of fossilised wood that comes from a family of tall evergreen cone bearing trees in South America and Australia that are ancient relatives of the pine tree. Theses deposits were created up to 180 million years ago. Jet is chemically related to brown coal, but Jet is more solid and tough. Jet has been used both as a talisman and a jewel for over four thousand years. Jet draws out negative energy and eases unreasonable fears. If worn around the neck, it is a stone of protection. It guards against violence and illness, Jet provides protection to you during a spiritual journey. It is said that those who are attracted to this stone are "old souls" who have long experience of being incarnated on the earth. Jet can be used to open yourself to psychic experiences and it will help you on your path to spiritual enlightenment. It is said that jet will become one with the wearer, this could mean that jet jewellery absorbs and retains the energy of the last person to hold or wear it. This means that all your jet either jewellery or healing stones should be cleansed thoroughly after each use. Jet stabilises finances and will protect your business. It can be placed in the cash register or the prosperity point in your house or a room. The prosperity point is the far left hand corner of your land, house or room. Jet helps you take control of your life. It balances mood swings and alleviates depression, bringing you stability and balance. Jet cleanses the base chakra. Jet treats migraines, epilepsy, intestinal problems, diarrhoea, mouth problems, grief, teeth grinding and gum disease and colds. It reduces glandular and lymphatic swellings and heals stomach pain. It has been used traditionally for menstrual cramps. 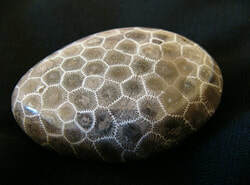 ​Petoskey Stones are fossilised colony corals (Hexagonaria percarinata). Their origin is traced back to Devonian seas that covered Michigan's Lower Peninsula about 350 million years ago. The soft, living tissue of corals is called the polyp. A limey substance is secreted by the polyp, hardening into corallite -- a skeletal base which supports the polyp and keeps it from being buried alive by bottom debris. Petoskey stones found in Michigan consist of massive corallas of varying sizes. The limey skeletons were replaced by calcite or silica in a cell-by-cell process called petrifaction. When glaciers scraped the bedrock surface, fragments of this rock were carried and deposited elsewhere, primarily in the north half of the Lower Peninsula. When dry, the stone resembles ordinary limestone but when wet or polished using lapidary techniques, the distinctive mottled pattern of the six-sided coral fossils emerges. This stone is ideal for balancing and reducing if needed, third eye visions and impressions, reduces psychic visions, brings you back to earth after channeling, grounds and balances. Petoskey stone will help if you can't seem to turn off your psychic visions at will.. It supports people who are overloaded and overwhelmed with the visions particularly if they are of disaster and death. It will assist you in grounding yourself more effectively after psychic work. 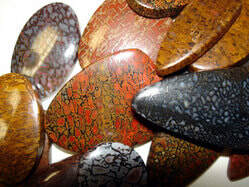 Petrified wood or fossilised wood occupies an important place in the world. it is probably one of the most collected of the fossilised materials. The incredible variety of different wood types and patterns and colours is enthralling. Just a few include cycad, elm, holly, maple, oak, palm, pine. Petrified wood is made by an ancient piece of wood that decomposes in sedimentary layers leaving a negative mould of itself that is later filled with chalcedony, agate, opal and other minerals, that solidifies and creates a positive replica of the original. The formation of Stromatolites begins with cyanobacteria. These single celled bacteria live in mats on the seafloor which secrete mucilage (mucus) over them. Stromatolite enhances your adaptability to the changing circumstances of life and guides you to where you need to be in that moment in time. This stone allows cooperation with coworkers, family and friends while still allowing you to maintain a firm standpoint on your views and decisions. Stromatolite helps you accept and understand both the positive and negative experiences in your life and mature through your experiences. Stromatolite boosts the immune system to fight disease and increases your vitality. It enhances cellular growth as well as supporting DNA. Stromatolite assists the digestive system to assimilate vitamins. 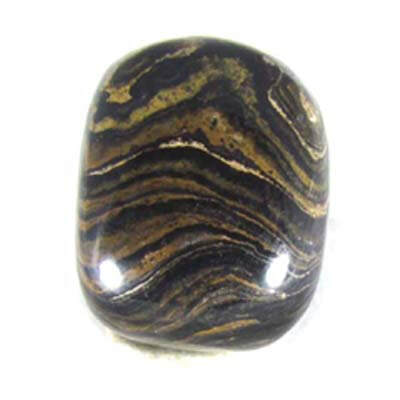 This stone cleanses the intestine and tissues, improves the intestinal flora, aids metabolism and excretion.​ Stromatolite will encourage the health and vitality of the skin, hair and nails. Stromatolite strengthens the bones and skeletal structure.